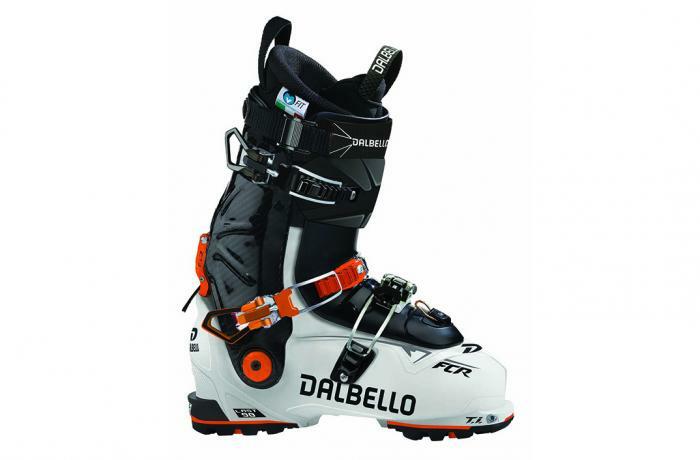 The 2018/2019 Dalbello Lupo Factory was tested in the men's On-Off Area narrow category at Silver Mountain Resort by the experts at America's Best Bootfitters, powered by Masterfit. We could tell by testers' custom score averages that the way to unlock the comfort, balance and performance potential of the 2019 Dalbello Lupo Factory is to take the time to custom mold the Intuition-built I.D. Max Hike liner—getting this lightweight full-thermo job matched to the foot and leg evened out the fit and helped tap the Lupo's beastly power and quickness. The Lupo Factory experience isn't for wimps or wannabes. Just getting into the boot takes a certain level of skill and commitment. The lightweight, rear-articuluated lace-up liner goes on the foot first, gets laced, then the foot and liner enter (i.e. get crammed into) the three-piece shell. Keeping the shell's tongue, internal weather-proof gusset, overlaps, straps and buckles all clear for takeoff is a little bit of a cluster—but once the foot has a clear path to the floorboards it slams right down into place. This is an overall narrow fit, with extra room at the forefoot and quite a bit of space in the toebox—testers said its clean, even, narrowish fit came only after liner molding. Prior to liner cooking, fit scores were more scattered. 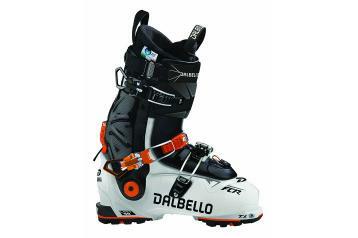 The upper cuff crawls up pretty high on the leg shaft, and the tongue has a nicely padded feel against the shin. Testers say this is not an open calf fit at the boot top—slender feet and long slender legs will do best. Testers were in agreement that the internal bootboard ramp angle is fairly low, the cuff is pretty upright and the 130 flex is plenty stout—this put testers on their heels and left them struggling to get up and out in front of this boot. Those who could (taller, more aggressive, i.e. real men) tapped into megatons of shovel-bending force, and those who couldn't ended up moving side to side, tapping into megatons of lateral, edge-driving power. The lightweight Grilamid lower shell and hand-laid carbon upper cuff are undoubtedly strong and super transmissive of skier inputs, just a little hard to harness for three-dimensional skiing. A lot of skiers mentioned needing a little bit of heel lift and a little bit of extra rear spoiler in the cuff—good suggestions, and easily accomplished. The Lupo Factory started the removable tongue hike modality two seasons back, and now it's available on all the Lupo models for men and women and copied by other brands. The industrial-strength cuff release mechanism is pretty standard, but by completely removing the plastic, external tongue, the cuff is free to hinge widely forward and aft, with a light and unhindered quality and a rolling stride enabled by the rockered GripWalk soles that the boot comes with. Yes, the tongue must be stashed somewhere, like a pack, but for a decent length skin mission having a pack would make total sense, right? The weatherproof gusset that hinders entry initially is what keeps snow out of the boot while touring, sans tongue, which can be done with low-tech or A.T. bindings. Alpine-norm soles are available for a more area-based attack.